Reusable water bottles are extremely popular as more and more people are doing their part to help the environment. 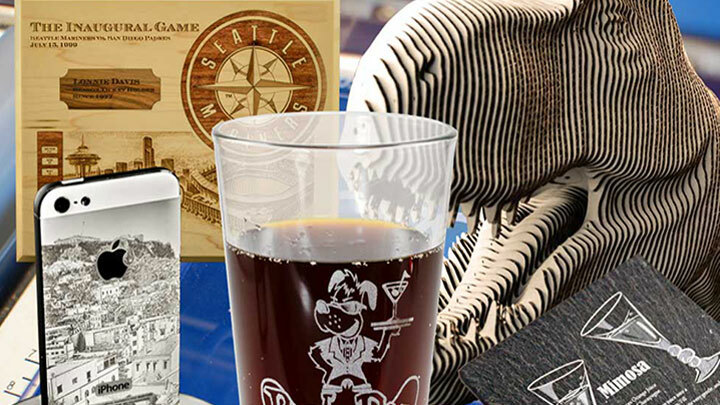 Engraved with a fun, splashy design, these laser engraved water bottles -made from painted steel - make a great summer gift item for just about anyone! 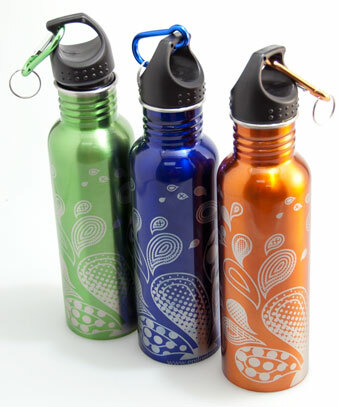 Treated metal water bottle (painted stainless steel, anodized aluminum, etc.) - we purchased ours from Kohls; however, bottles such as these can also be found in drug stores, grocery stores or other department stores. We used a 50-watt Helix with the following settings: 80% speed, 70% power. 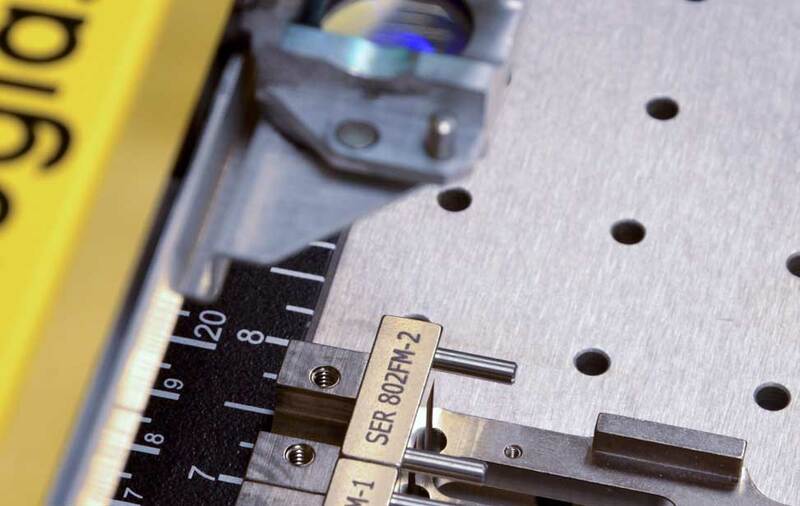 Begin by removing the engraving table from your system and insert the rotary device. 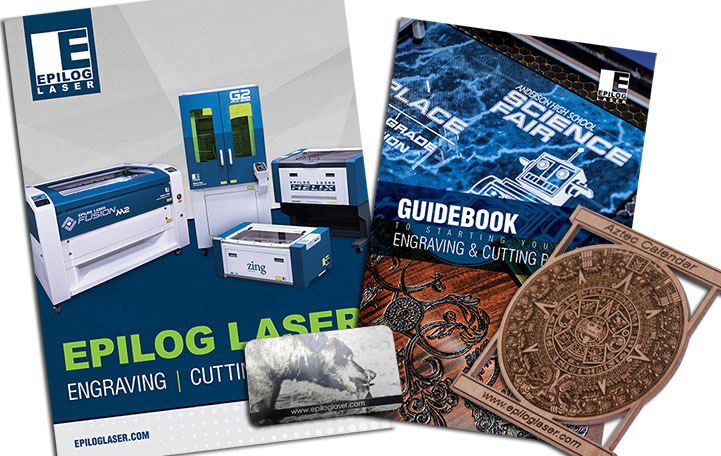 To do this, lower the table and remove the engraving and/or cutting table. Insert the Rotary Attachment and plug it into the machine. Turn the machine off and on again to establish the Rotary's position. 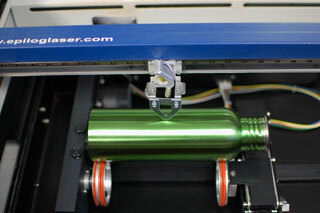 Place the bottle on the rotary device and focus the machine. Run the job and you're all set!